Nymans Garden is one of the finest gardens in England. See why we rate it so highly. 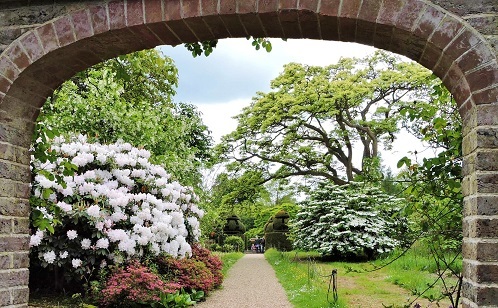 Nymans Garden, in Sussex is one of the National Trusts finest gardens. In the late 1800's Ludwig Messel bought the Nymans Estate in the Sussex High Weald to make a dream family home. Inspired by the wooded surroundings he created a garden with plants collected from around the world. Here his family entertained friends, enjoyed relaxing, playing and picnicking in the garden and woods. Today it is still a garden lovers' home - a place to relax all year round and enjoy a peaceful country garden. The house was partially destroyed by fire in 1947 and the romantic ruins of a fairytale gothic mansion remain. Inspired by the garden lovers' home there is a large shop and plant centre with our special collection of plants grown on site as well as a redesigned café offering a choice of seasonal food . WE have good displays of Snowdrops in February and March. Every day there are guided walks and talks in the garden and woods, mobility tours in garden and woods, a small gallery, a second-hand bookshop and shop. For children there are natural play trails, geocaching in the garden and woods, pick up and go activities and holiday trails. 2019 Open all year. Closed Christmas Day and Boxing Day. For detailed opening times see Nymans website. FREE to NT members. See offer. Restaurant. Disabled access, Powered mobility vehicles can be booked. When is the best time to visit Nymans? - the main season runs from April to October but there is always something interesting to see. Is the garden family friendly? They usually hold events in the School Holidays and the walks around the garden are good. However children might get bored during term time. How long should we allow for the visit? We suggest 2 -4 hours. Are there other great gardens nearby? 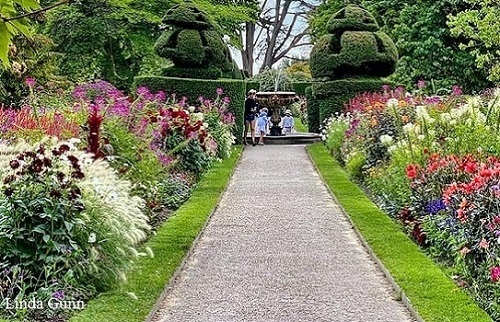 See our Sussex page for more great gardens to visit. Where is Nymans? see map below.